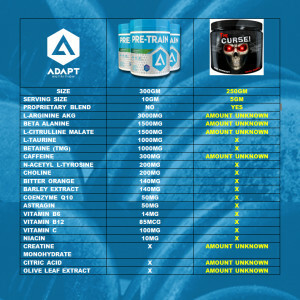 So how does PreTrain stack up against one of the most popular PreWorkout products in the world, Cobra Labs, The Curse? The first thing you should notice is that PreTrain is not a proprietary blend. What does that mean? It means we fully disclose the dosage of each individual ingredient. We don’t hide behind some secret blend. 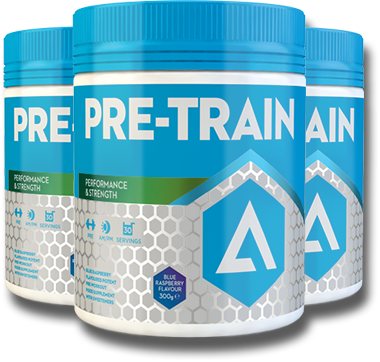 The next thing you should notice is that PreTrain doesn’t contain any cheap fillers like Creatine Monohydrate. Creatine is great but is often used to bulk out the serving size because of it’s low comparative cost to amino acids and high quality, potent extracts. 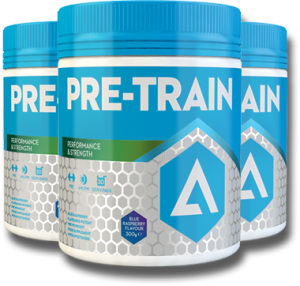 PreTrain contains 16 active ingredients that are all designed to work together to give the most effective results. Watch out for products that don’t provide a balance of ingredients and just load-up with one particular ingredient, especially caffeine. Too high caffeine will just make you CRASH, HARD! 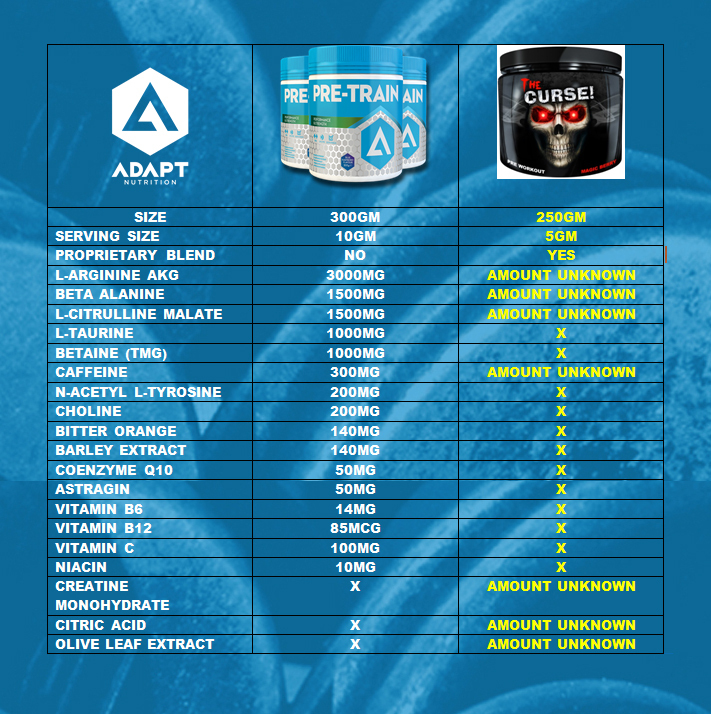 If you haven’t tried PreTrain, email your address to Hello@AdaptNutrition.co.uk for a free sample.